Thanks @talexander. This one got mixed reviews from day 1. Glad now that I resisted the urge to pop the ridiculous price for it here in BC. At 76 points? I don't call that a winner. @Alexsweden Perhaps you were referring to the Perpetuum which got a much better mark (88) from talexander? Actually I was referring to the tasting notes rather than the score. Sounds like a whisky I would enjoy, a winner for me. Yeah, I agree, it does sound better than the score indicates. Other reviewers have scored it much higher, but talexander is generally a very trustworthy taster. Maybe an off day for his taste buds, but he was obviously getting some discordant notes in the balance and finish. I'll definitely try it if I can get a taste without having to spring for the bottle. Cheers. Thanks @Alexsweden and @BlueNote for your comments. It's a great compliment when someone assesses whether or not they want to try something based on my tasting notes, rather than the score. That shows not only that they know what they like, but also that I've done a pretty good job describing what notes I got without letting my overall impression colour those notes in a negative light. It's all very subjective - so just because I don't like it doesn't mean you won't! I'm with Alexsweden: This sounds tasty. Then again, I care naught for balance. OIJas wonderful statement 'I care naught for balance' . It means nothing to me either. My criteria is does it taste good or not. @maltmate. Right on. That is indeed the single most important consideration for me too. Balance to me seems like one of those things you detachedly appreciate in the abstract, like if you were looking at the whisky in an art museum. I don't drink whisky that way. I've never once used the word in a review. I try to ponder the balance when I review but as OlJas (and surely many more) I often prefer bold taste over balanced refinement. For me, when flavours I enjoy clash together, the result is a murky mess that I really don't enjoy. So for me, balance is very important - it can elevate a good whisky into the sublime. Talexander and Nozinan, based on your comments here, I wonder if "harmony" would be a good synonym for what you appreciate as "balance." If so, I'm with you a little more than if the idea is near-literal "balance." @OIJas, I guess I would use "harmony" and "balance" synonymously, though for some reason I prefer the word "balance". Semantics aside, guys; either it tastes good or it doesn't, and to that end, balance or harmony is a significant factor. Your taste buds and your nose know, when it ain't working. @OlJas. I think I agree with talexander: harmony and balance are essentially interchangeable terms. I take it to mean that all the elements of taste and smell are, to one degree or another, in sync with each other. I had a bottle I finally opened at a tasting 9 months ago. I was sue how it would go over, so I "pre-tested" it before we started. Wow! I thought it was phenomenally good! They need to reissue this formula occasionally. 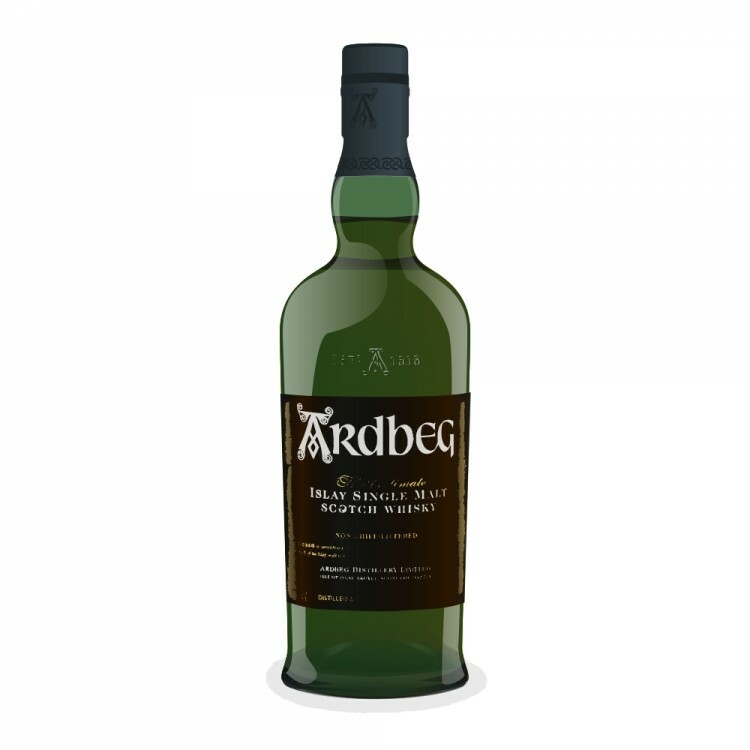 It was much better than the other Ardbeg Day releases I've had. Rich, full and complex. I slowly drank half drams till it was gone, and enjoyed every minute.